We only watched Frozen for the first time last week, but already my little girls are Frozen crazy. I’ve never known them to be so enchanted by a film. 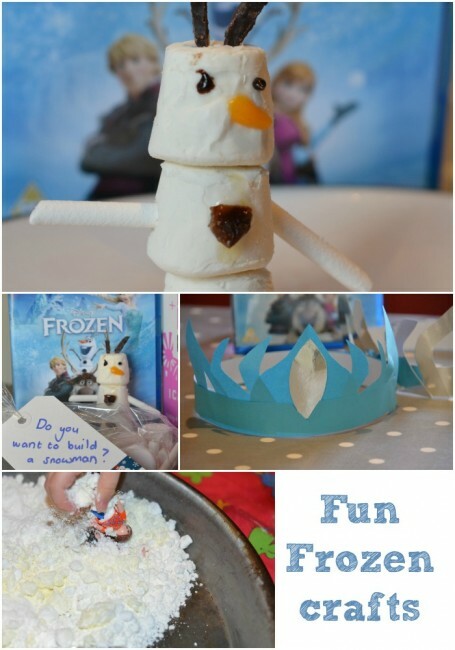 Frozen costumes and toys are still quite hard to get hold of, so we set about making our own. 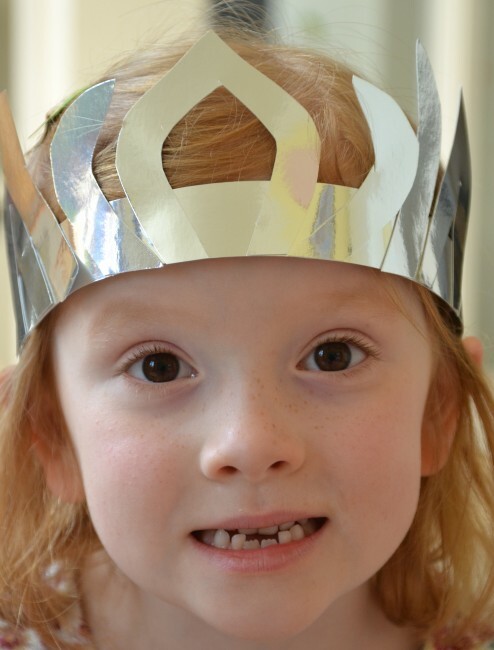 Our Elsa crown is super simple and not hugely impressive, but my girls LOVE it! 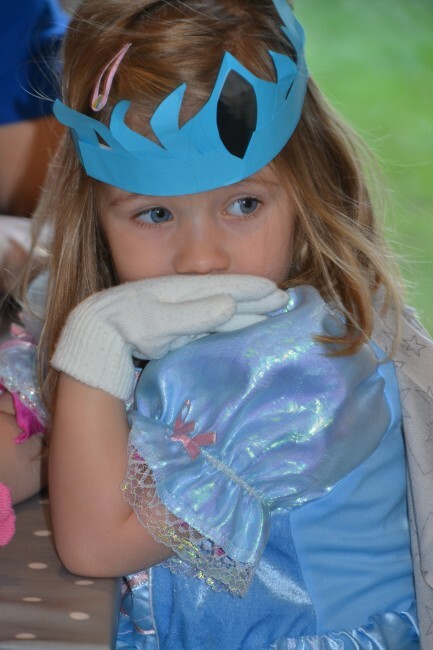 H completed her outfit with an old Cinderella dress and some gloves. S wanted an Anna crown. 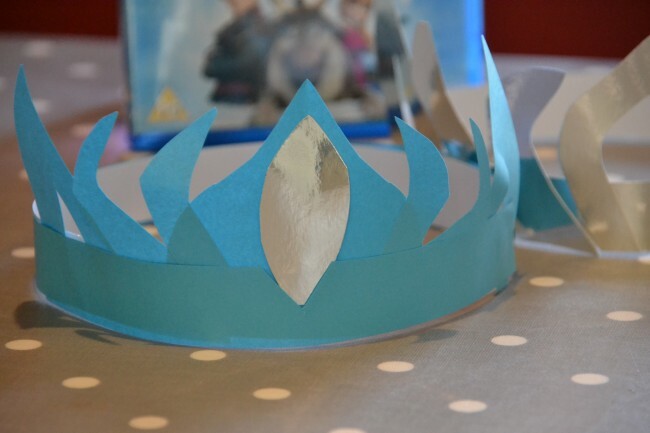 Have you made any Frozen props or costumes? We love this ice tower from Here Come the Girls. If you have some frozen figures, you could make a snow dome like this one from Red Ted Art. Make different types of sensory snow like Science Sparks. Create a small world scene with this fantastic snow dough from Imagination Tree. Anya from Older Single Mum and The Healer recently posted..The Random Musings of a 50 Year Old. Oh My Gosh! I NEEED to make a frozen snow globe. What a fantastic idea! Thanks for linking. I love the crowns. My girls will love them. Ah this is so cute, we are really obsessed with it here at the moment too.